This 2019 Cadillac XT5 combines a large interior with a pleasing ride, plentiful outward visibility, and a striking design. 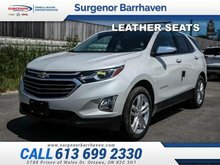 This 2019 Cadillac XT5 is for sale today in Ottawa. This Cadillac XT5 crossover was crafted to help you outsmart whatever task you have at hand. 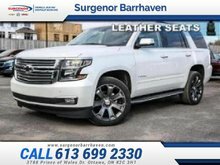 Its generously sized interior is filled with advanced features to help keep you safe and connected, while the chiseled exterior lines make a striking statement. A thoroughly progressive vehicle both inside and out, this XT5 was designed to accommodate all of your needs, while expressing your distinctive sense of class and style. This SUV has 17854 kms. It's black metallic in colour. It has an automatic transmission and is powered by a 3.6L V6 24V GDI DOHC engine. This vehicle has been upgraded with the following features: Leather Seating Surf W/mini-perf Inserts . Our XT5's trim level is Luxury AWD. The XT5 Luxury comes with lots of upgraded features. For instance, a large power sunroof, heated front leather seats and a heated steering wheels are now standard equipment. 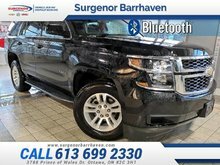 Additional features also include front and rear park assist plus a rear cross traffic alert system, Bluetooth with Apple CarPlay and Android Auto plus automatic dual zone climate control system - keeping the temperature inside the cabin exactly where you set it. 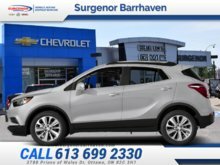 Buy this vehicle now for the lowest bi-weekly payment of $297.54 with $0 down for 96 months @ 6.99% APR O.A.C. ( Plus applicable taxes - Plus applicable fees ). See dealer for details. Interested in the 2019 Cadillac XT5 Luxury AWD - $297.54 B/W ?